Ruby Jade in bead strands. 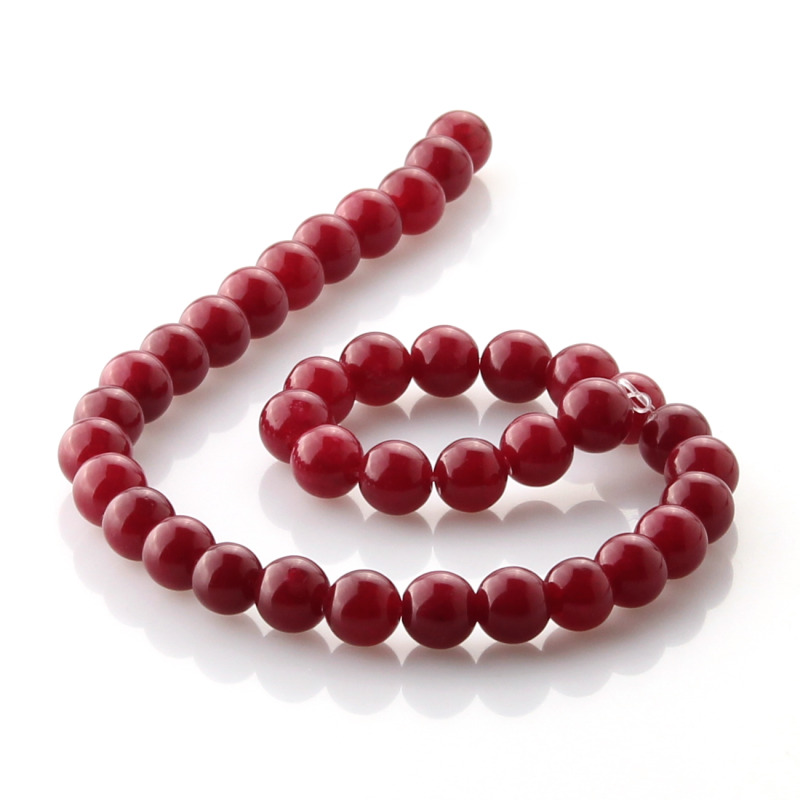 These ruby jade beads have a very nice red color. 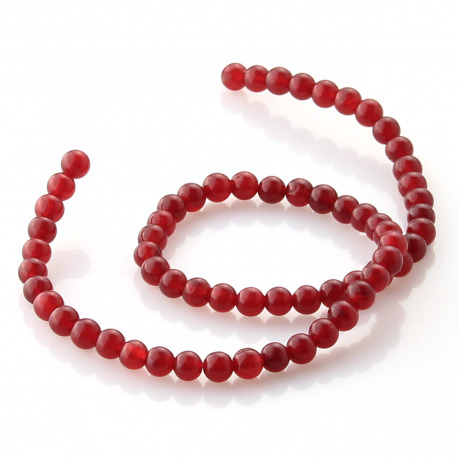 They come perforated and threaded in strips of about 38 to 40 cm. 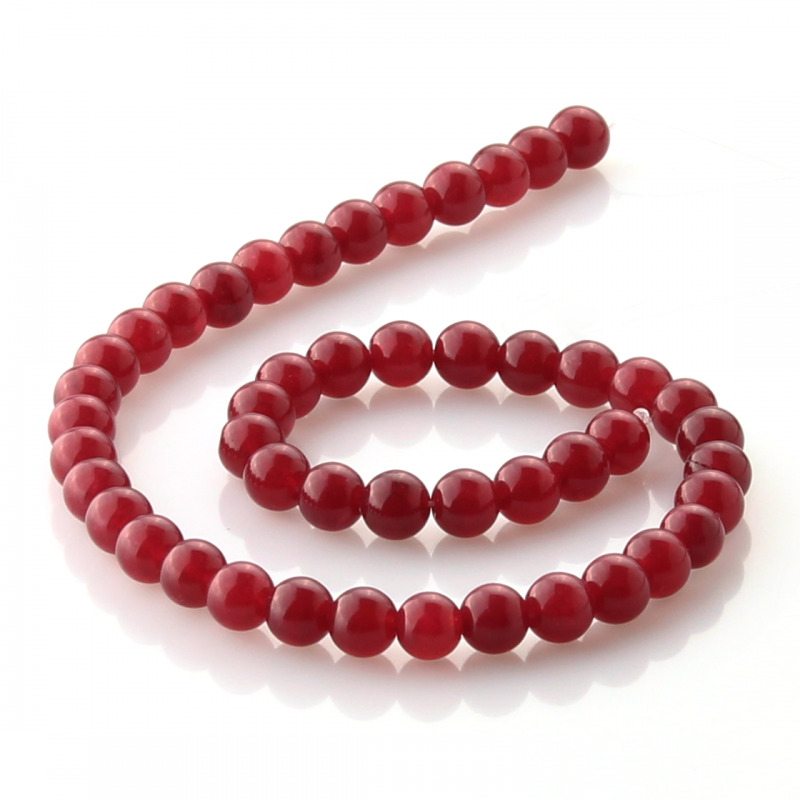 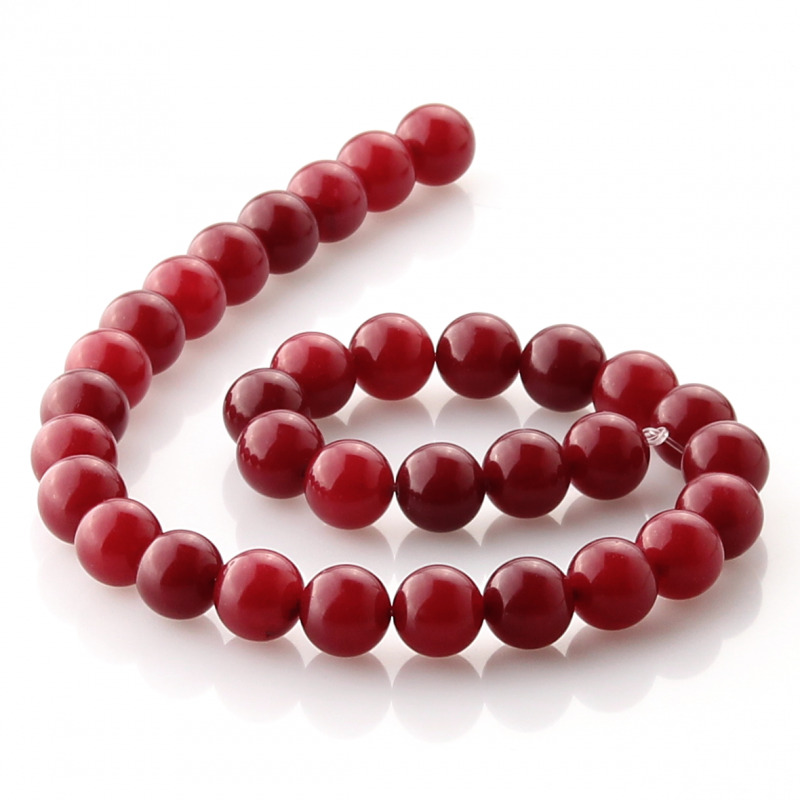 You can choose from several sizes of ruby jade beads: 6mm, 8mm, 10mm and 12mm. 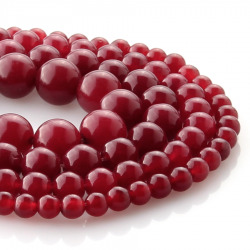 Usually used to make jewelry or other accessories of costume jewelry, adding other types of beads or charms of different shapes and colors, to get personalized items.